You’re sitting in your home, admiring your beautiful Persian rug, when your dog suddenly knocks a mug of coffee off the coffee table. Before you can react, your prized rug is soiled with the dark, pungent liquid. What do you do? While your first reaction may be to grab the nearest dish towel and scrub the liquid as hard as you can, doing so could make the problem even worse. Instead of giving in to your instincts, follow these simple steps to provide emergency care to your rug as quickly as possible. Rather than vigorously scrubbing the stain, blot at it with paper towels or a clean rag. Continue blotting until you have removed as much of the liquid as possible. If the stain on your Persian rug is still brightly-colored, you should dilute the spot with water. Small spills may need as little as a quarter cup of water, while very large spills may require more dilution. If your rug was made with unstable dyes, you may experience some minor color bleeding when you apply water. However, a bit of color bleeding is a minor problem when you’re dealing with a stain emergency. Once you have diluted the stain with water, blot the area again until you have removed as much of the stain as possible. If steps 1-3 were not effective at removing the stain, take your rug to a rug cleaning professional as soon as possible. You should be able to find one near you by conducting a quick online search or consulting your yellow pages. They may have more luck providing emergency rug care. 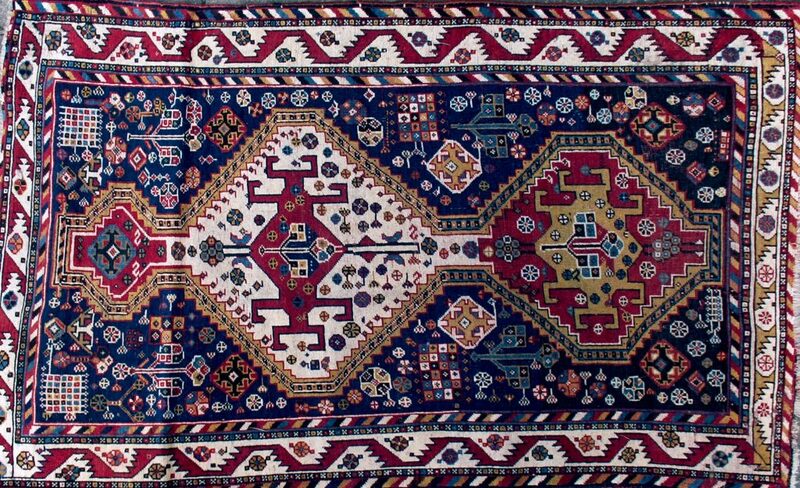 If your rug became very wet during the blotting and diluting process, hang it in an area with good circulation so that it can dry. You can also turn a fan on it or place newspapers beneath it to get rid of excess water. Never use carpeting spot removers on your Persian rug, since they are almost certain to damage the wool pile.